A tough opening hole featuring a sharp dogleg left. An aggressive drive around the corner will be rewarded with a short approach to a two-tiered green. A short but narrow par 4, hitting your tee shot in the fairway is very important. Favour the right side for a clear look at a long and narrow green guarded by two bunkers. 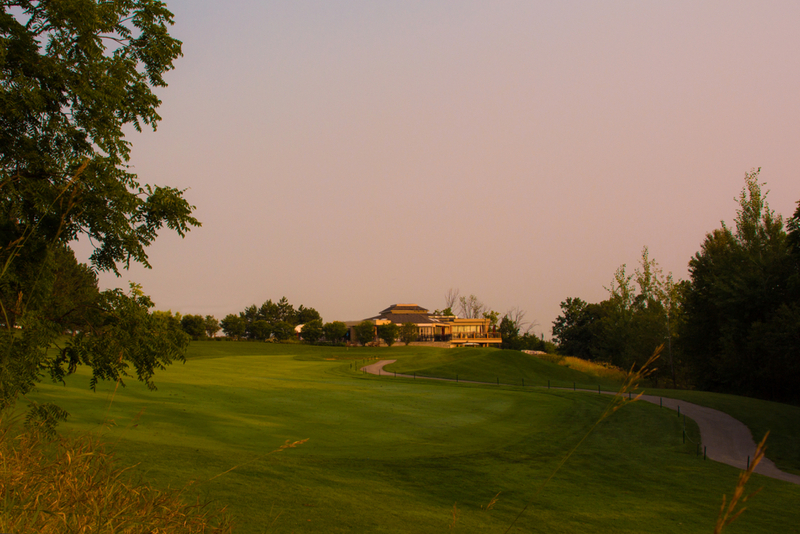 A great opportunity for birdie, this par 5 is reachable in two after a good drive down the left side of the fairway. Be careful not to go over the green with your approach. A short but very difficult par 3. 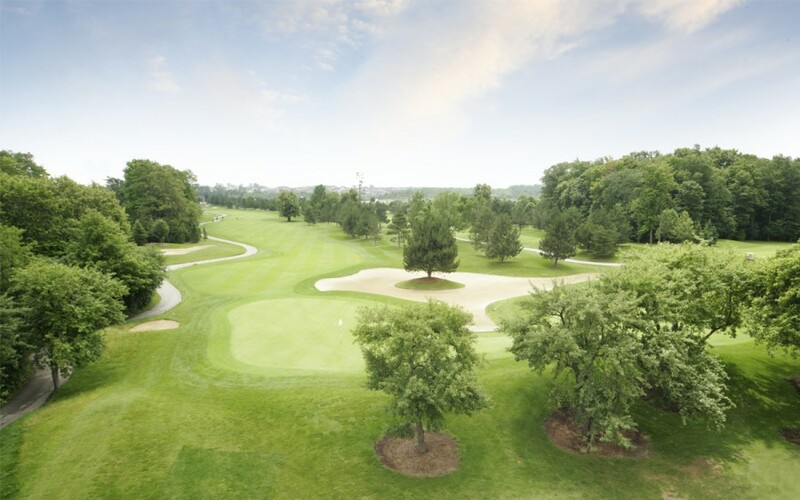 With out of bounds right and long, and lateral hazard on the left, the best miss is short of this two-tiered green. This hole presents a very difficult tee shot, play to the 150 stake for safety off the tee or be aggressive and carry the water on the right. A wide but sharply two-tiered green awaits your approach shot. 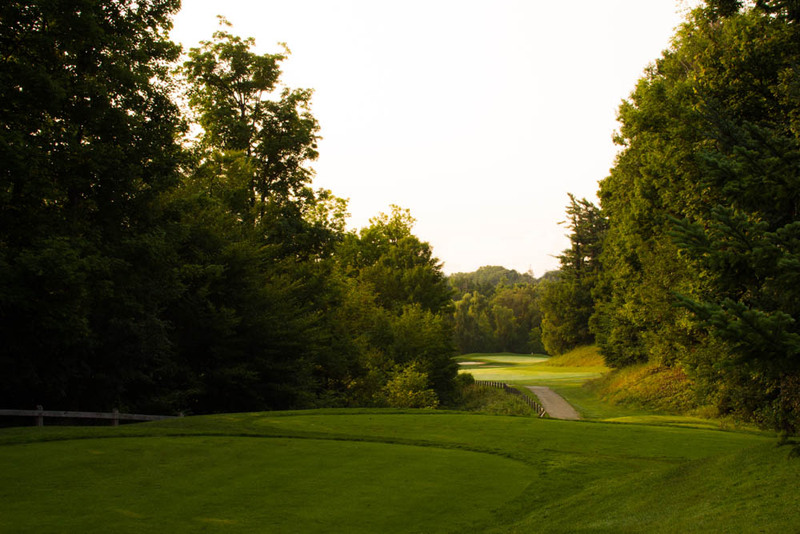 Don’t let the short yardage fool you, this par 4 presents many challenges. After an ideal tee shot of 200 yards down the right side, pay careful attention to the pin location on this very large and sloped green. The wind often plays a part in the difficulty of this long par 3. Your safest misses are short and right, and pay close attention to the pin location on this green with front, middle and back tiers. Right centre of the fairway short of the far bunker is the ideal target for your tee shot. The green opens up from this angle but still presents a very difficult approach with water left and fescue right. The outward nine ends with a challenging par 3 over water. 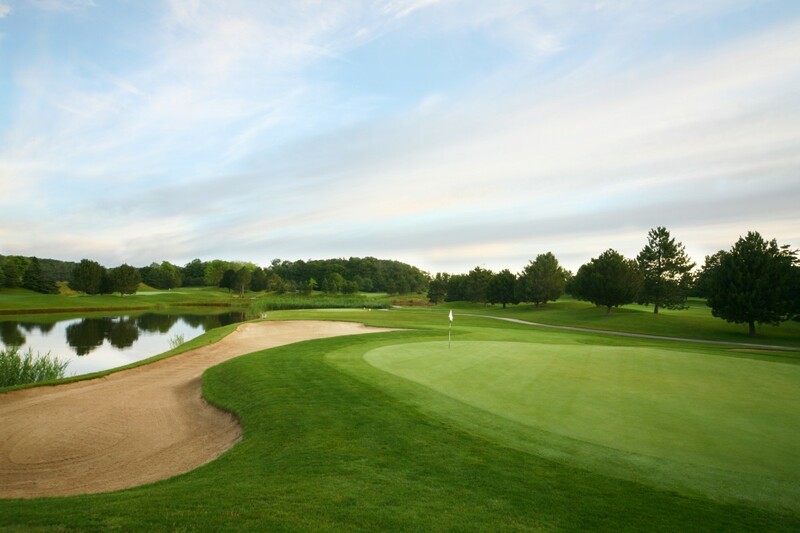 Favour the left side and be careful not to go long, par is a great score on this hole. Downwind this long par 5 can be reached with two great shots, but into the wind it becomes a beast of a hole. 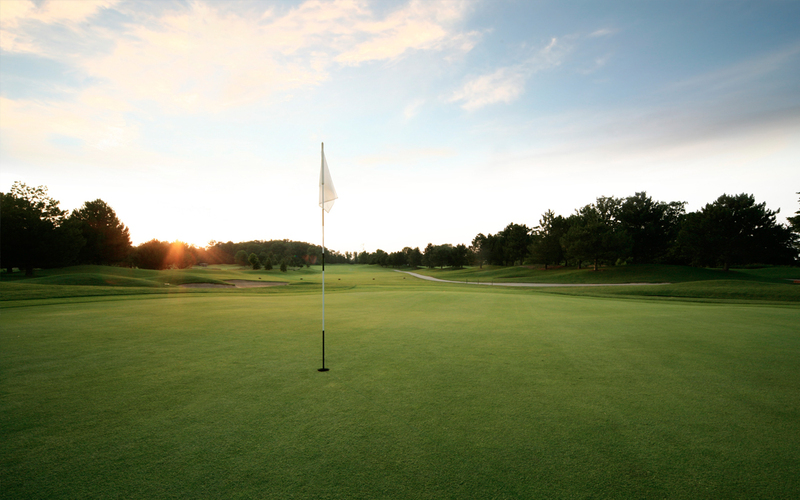 Favour the left side with your tee shot and approach to the green. 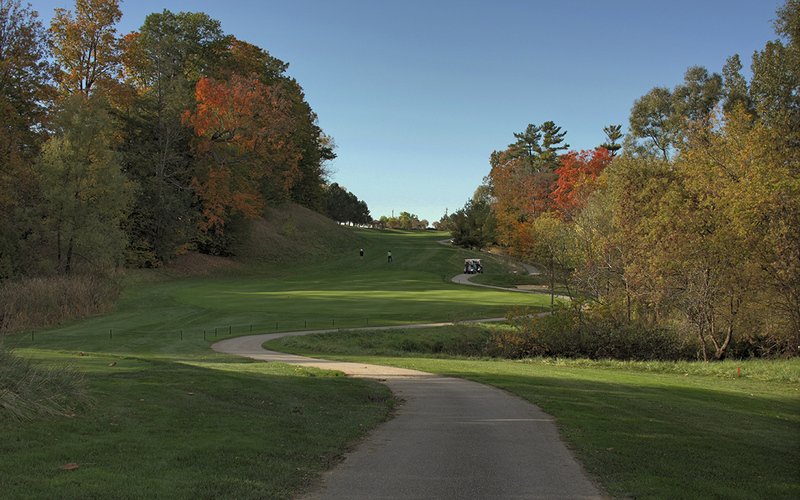 This notorious tee shot is steeply downhill through a narrow chute of trees, to a small landing area that slopes from right to left. Aim down the right side of the fairway with your 215 yard club. There’s more room left than appears off the tee, choose a shorter club to stay in front of the pond. Distance control is key with your approach shot with trouble long and short of this wide green. Club selection is the biggest challenge on this short par 3 with an elevated tee deck. With hazards guarding all sides of the green, there is little margin for error on this tricky hole. Getting the ball in the fairway is key on this challenging par 4. Favour the left side with your tee shot to open up a better angle into this small green with three tiers. This drivable par 4 offers a great risk-reward opportunity, but you can still make birdie by laying up safely on the left side of the fairway. This green slopes sharply from back to front so don’t be long. Another drivable par 4, this green is less accessible from the tee and requires a left to right shot. Short is a good miss on your approach shot as there’s trouble everywhere else. The last par 3 on the course will test your nerves. The only safe miss is left, with the creek and brush on the right. The wind is often a factor on this hole. Rounds are either made or ruined on this difficult finishing hole. 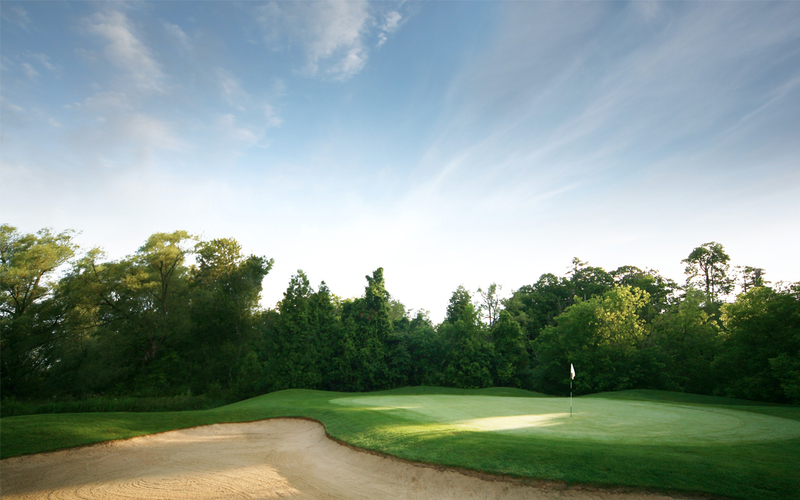 Choose your 200 yard club off the tee, and lay up to 100 yards for the best chance of making par or even birdie. *Weekend morning rate includes complimentary breakfast prior to 10:30 a.m. 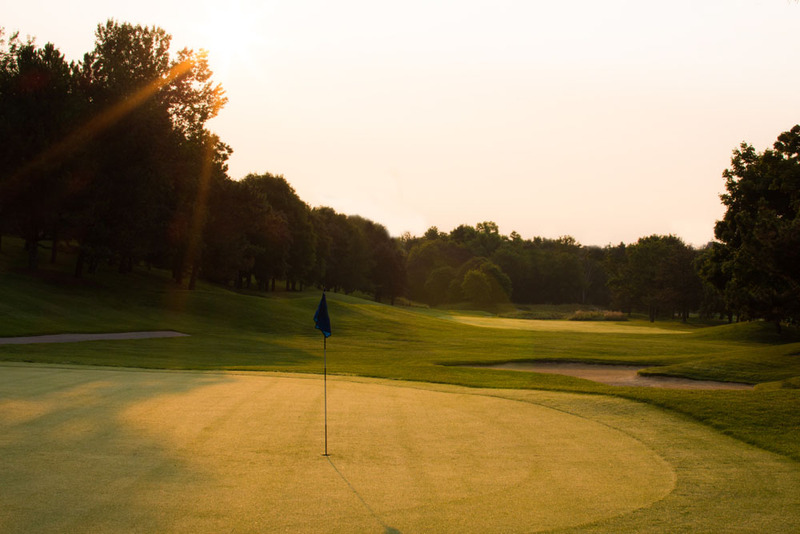 Weekend morning green fees include complimentary breakfast, before 10:30 a.m.
All weekend green fees include the option of a FREE replay! Juniors under 16 are FREE on weekends after 3:00 p.m. with paying adult and are ½ price at any other time with paying adult. *All above rates exclude HST. The ultimate in convenience and savings for you and your guests. Members also save 10% off Proshop Merchandise, Food & Beverage purchases and driving range fees (some exclusions apply). 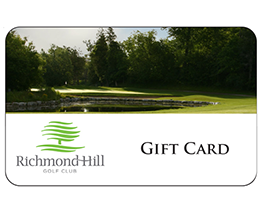 Sign for all charges at the Richmond Hill Golf Club using your account, you never have to worry about carrying cash or credit cards! 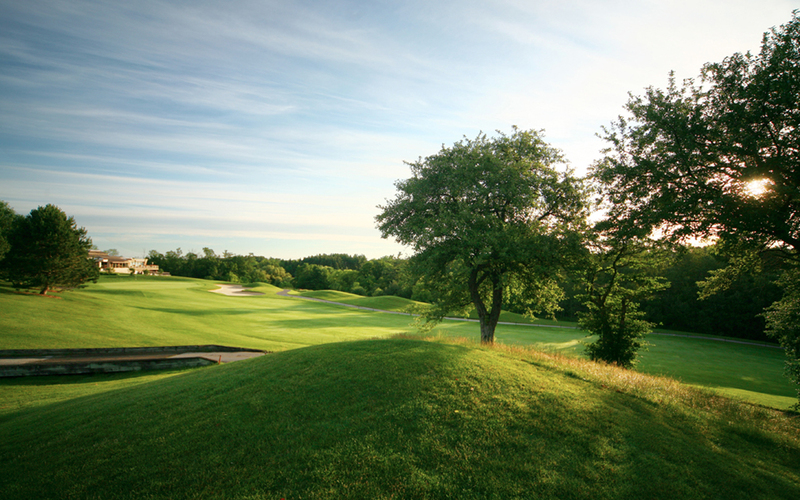 Receive up to 4 weeks advanced booking privileges, with simplified tee time reservations and cancellations both online and over the phone. Funds on account never expire, so you don’t need to worry about using up your full amount in 1 season! Upon registering, we will set you up with an account under your name (or company name) and then your payment will be applied to your account. From there you simply use the funds in your account to make purchases at the club and your discounts are automatically applied. Any guest rounds can also receive the appropriate discount as long as the payment is made using the account. You can receive statements at any time to view your transaction history and receive an updated account balance. Best of all, the funds on account never expire, so if you don’t get to play as much as you anticipated you can just roll your balance over into the following season! 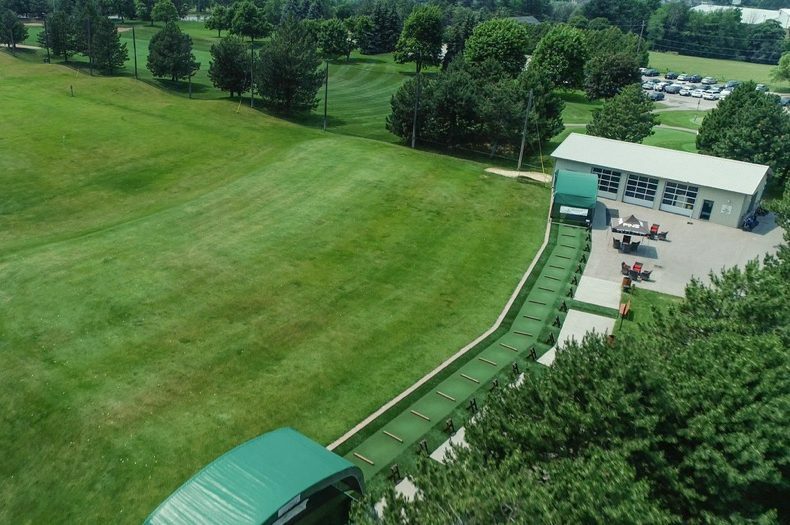 Our Driving Range received a facelift in 2018! We installed a brand new “tee-line” surface that is not only more aesthetically appealing but it’s softer feel will drastically improve your experience at our range this season. New bag racks, patio furniture and 2 Dry-Rainge canopies offer an added convenience, and our Pinnacle range balls are always kept in top condition. 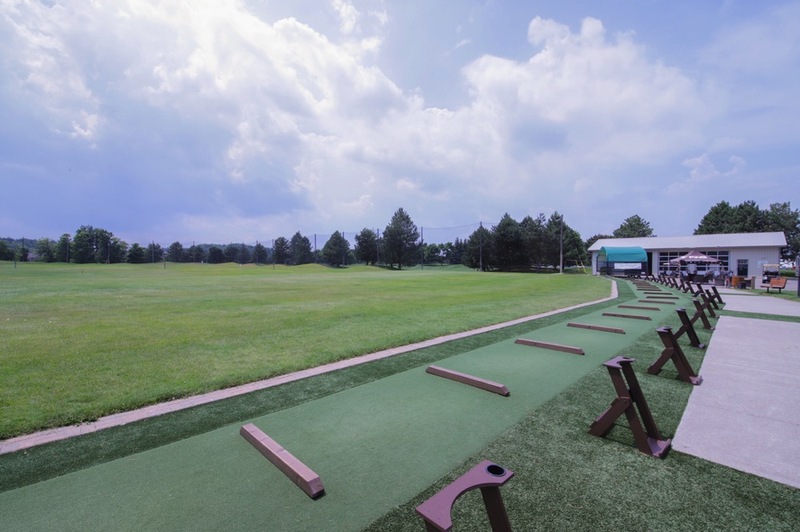 The range is open from sun up to sun down throughout the season making it convenient to practice at the best time for you. 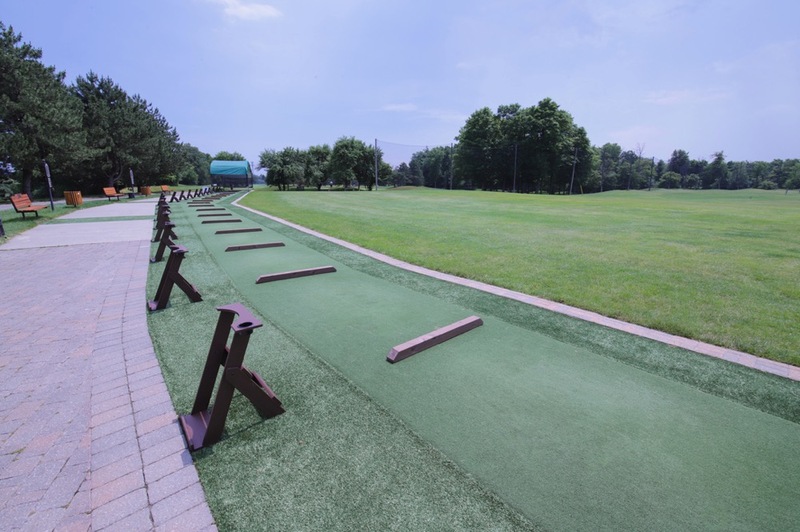 When finished on the range, you can take the opportunity to practice your short game with our conveniently located putting green. COMING IN 2019 – NEW CHIPPING AREA! *All driving range rates include HST. 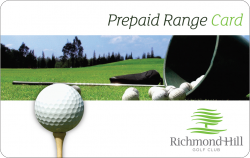 Prepaid Range Cards do not expire. 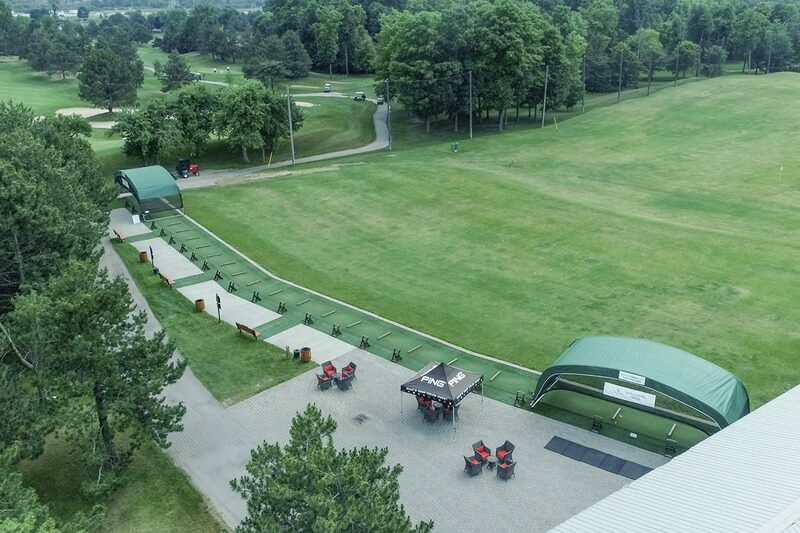 At the Richmond Hill Golf Club, you’ll find all your golfing needs in our fully stocked Pro Shop. Whether it be the latest in equipment, fashion, accessories or advice, you’ll get it all with our friendly and efficient sales staff. Our 2019 lineup includes items from top manufacturers such as Under Armour, Ping, FootJoy, Titleist & much more! 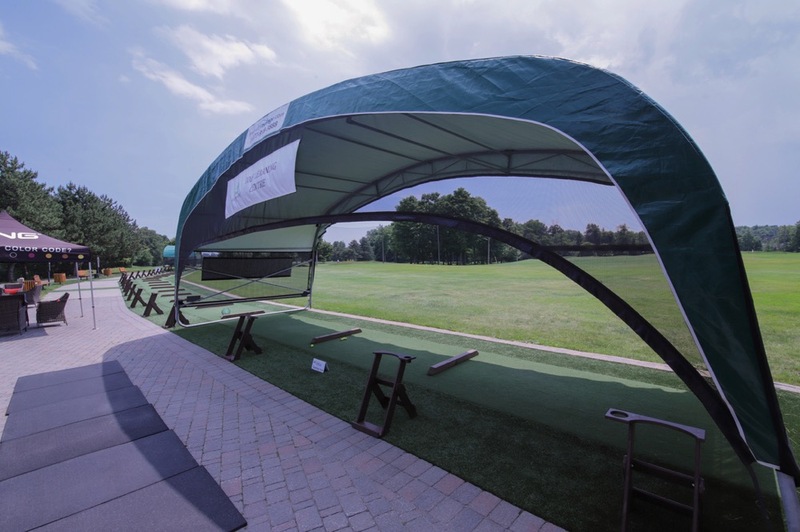 Our Ping Fitting Centre located at our golf academy offers a wide variety of fitting components and demos to try out on our range or during your round. We can also special order virtually any item from any major golf company, at very competitive prices. 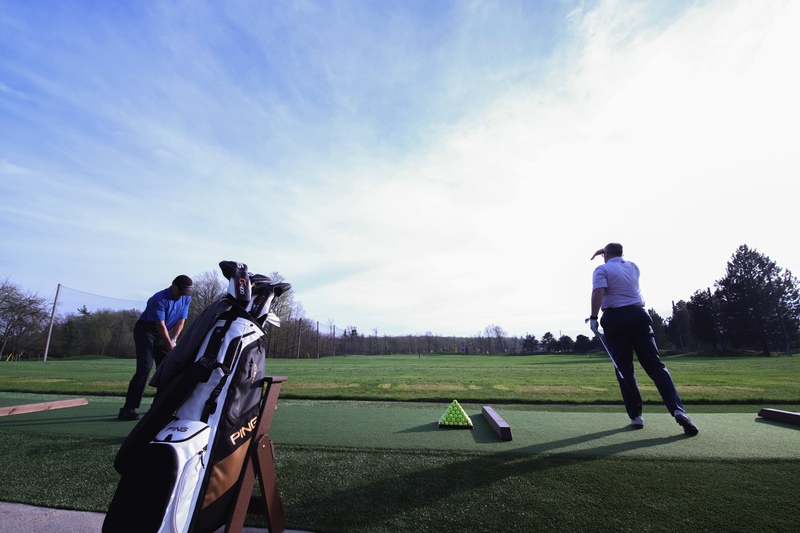 With our club-fitting and demo programs you can get properly fitted for your equipment, and try before you buy. Buying for all of your golfing needs is easy and enjoyable! Need ideas for a giveaway or prize table items for your upcoming tournament or event? Let us do the leg work for you! We can help come up with creative and unique ideas and work with budgets of all sizes. Best of all, all items ordered can be shipped and stored directly to the golf club, ready for the day of your event! Click HERE to view our Corporate Proshop Ideas sheet. 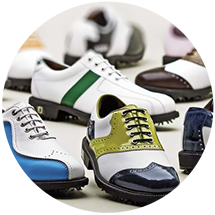 Design your own golf shoes.